Paul Spurgin, the founder of Keystone Wounded Warriors, says he is seeing fewer returning veterans with physical injuries, but many more with the “invisible” injury of post-traumatic stress disorder (PTSD). The Department of Veterans Affairs operates an entire institute—the National Center for PTSD—dedicated to research and education on this invisible war injury. This past summer, a bipartisan group of U.S. senators designated June as National Post-Traumatic Stress Disorder Month and June 27th as PTSD Awareness Day. Famous televangelist Kenneth Copeland might have asked, why bother? On his Veterans Day telecast, Copeland and his guest, historian David Barton, took issue with the seriousness or even existence of PTSD, at least for good Christians. In other words, if you “do it God’s way,” you can’t get PTSD, and if you do have PTSD, it means you have strayed from the biblical path. Put another way, if you have PTSD, it is because of your own sin. It is easy to make fun of “prosperity” televangelists like Copeland, recently the less-than-cooperative subject of an investigation launched by Senator Charles Grassley (R-IA) concerning six televangelists’ use of and accounting for charitable contributions. Easy, but naive. 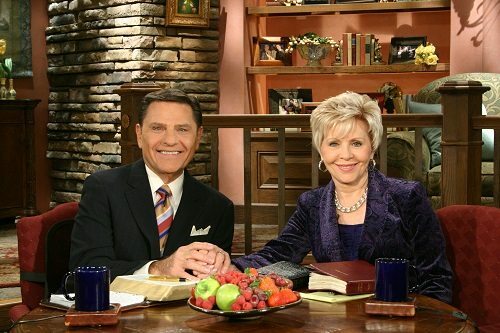 Kenneth Copeland Ministries has been active for more than 40 years and has millions of regular viewers. For Copeland believers, his advice on health matters has consequences. This year, a measles outbreak occurred among parishioners at the Eagle Mountain International Church in Newark, Texas, where the co-pastor, who happens to be Copeland’s daughter, professes skepticism about the value and importance of measles-mumps-rubella (MMR) vaccinations. Copeland himself is a longstanding doubter of the efficacy of vaccines and charges that vaccines such as MMR cause autism. Even though his autism theory has been debunked, Copeland has raised the inflammatory charge enough to make many people fear the linkage of vaccines and autism.